Hungary (Hung. Magyarország – “Magyar country”) – a country in Central Europe, bordered by Austria, Slovakia, Ukraine, Romania, Serbia, Croatia and Slovenia. 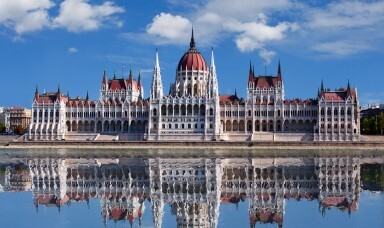 The country is named after the ethnonym of the people – Hungarians. 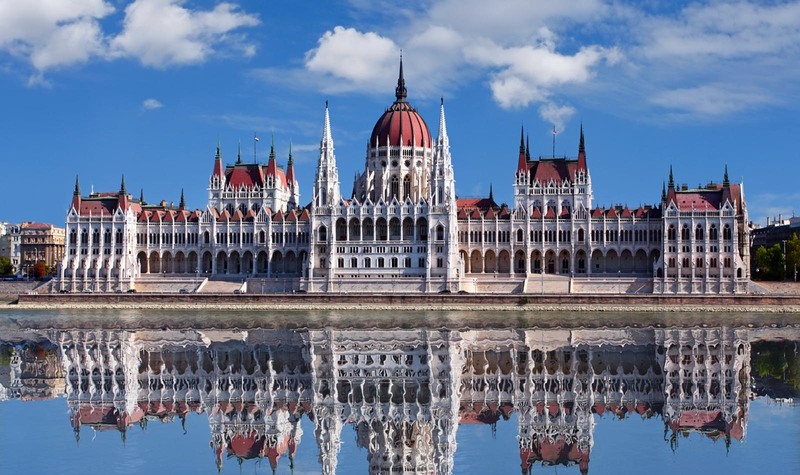 The country’s capital and largest city is Budapest. The territory of Hungary is mainly flat terrain. Most of it is located in the Pannonian plain. The western part of the plain (Dunantul) is dissected by numerous hills up to 300 m, the eastern part (Alföld) – has a flat low-lying terrain. On the north-west of the country there is Kishalfeld lowland, bounded on the west by Alpokalya elevation, which is the foothills of the Alps, with a height of 500-800 m (Írott-kő: 883 m). To the north of Balaton lake Midhungarian mountains with plateau-like arrays stretch with a height of 400-700 m (Bakony, Vertes, Dunazug). In the southern part of Dunántúl faulted mountain Mecsek tower up to 681 m (Mount Zengő). In the north of Hungary there are the spurs of the Western Carpathians up to 1000 m. They are dissected by broad valleys of the rivers and represent separated volcanic areas and limestone plateaus (Börzsöny, Cherhat, Matra, Bükk Cserehat, Zempléni – Hedsheg…). Here (in the Matra) the highest point in Hungary – Kekesh mountain (1014 m) is also located. In the mountains, on the border with Slovakia there is one of the largest karst caves in Europe Agtelek with underground rivers and lakes. 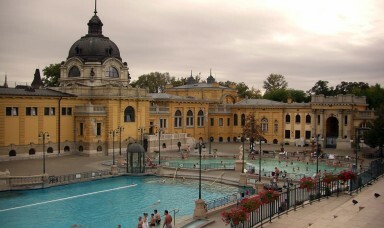 Out of the mineral resources bauxite, lignite, oil, gas, iron, manganese, copper, lead and zinc ores, mineral and thermal waters are mined in Hungary. The location of Hungary, surrounded by the mountains caused the continental type of climate with mild winters and hot summers. Annual precipitation is from 450 mm in the east to 900 mm in the mountains. 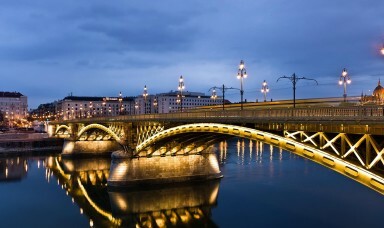 All rivers in Hungary belong to the basin of the Danube. The Danube itself crosses the country from north to south for 410 km. 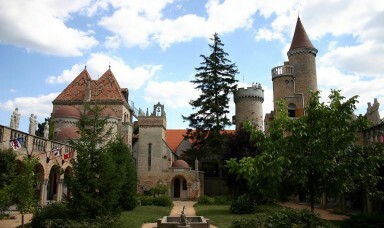 The largest lake – Balaton is a major international tourist destination. Near its western end there is Europe’s largest lake of thermal origin – Hévíz, next to which is a balneo-mud resort is located. The vegetation cover of Hungary is significantly altered by man. In most of the territory cultivated vegetation prevails – ploughed fields, orchards, vineyards. Forests are preserved in the mountains and cover about 20% of the territory (up to a height of 800-1000 m broadleaf forests grow, spruce-fir are found higher). The soil cover of plains is represented by black soil, in Alfeld salt marshes are found, in the mountains – brown earth and rendzina. Mother tongue of almost 95 % of the population of Hungary is Hungarian. The Hungarian language belongs to the Finno – Ugric sub-branch of the Ugric branch of the Uralic language family, closely related to Hungarian languages are the languages of Khanty and Mansi. The most significant national minorities are Germans (1.2%), Roma (1.1 % – 8 %), Jews (1%), Romanians (0.8 %), Slovakia (0.4 %), Croats (0, 2%) and Serbs (0.2 %). The vast majority of believers are Catholics (51.9 %). There is also Calvinist community (15.9 %), Lutherans (3%), Greek Catholics (2.6%), other Christians (1%). Undecided – 25.6%. 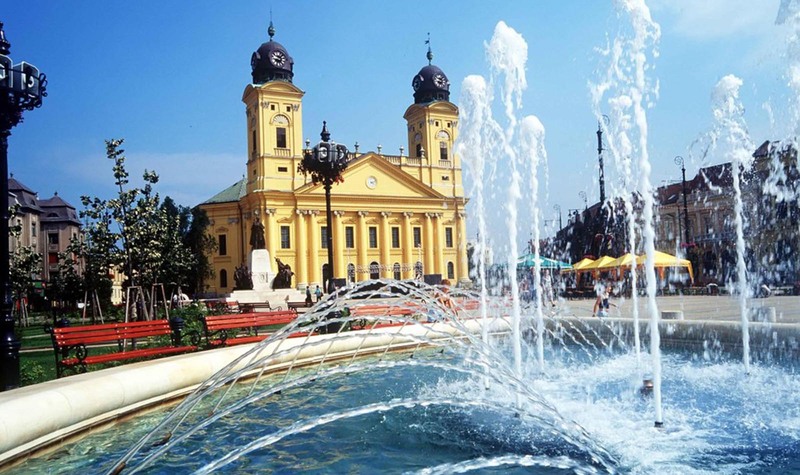 The neighboring countries are home to numerous Hungarian communities – particularly in Ukraine (Transcarpathia), Slovakia, Romania (Transylvania), Serbia (Vojvodina), Croatia. 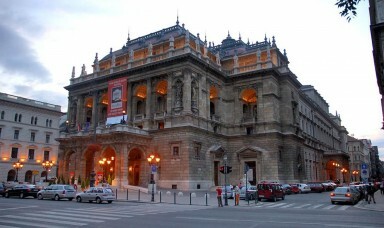 Hungary is divided into 19 counties (regions) and the city of republican subordination, equated to the county – Budapest. Names of counties and their administrative centers usually do not coincide. 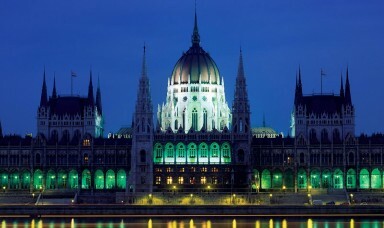 Hungary is a country with a booming economy, market transformations in it are almost completed. 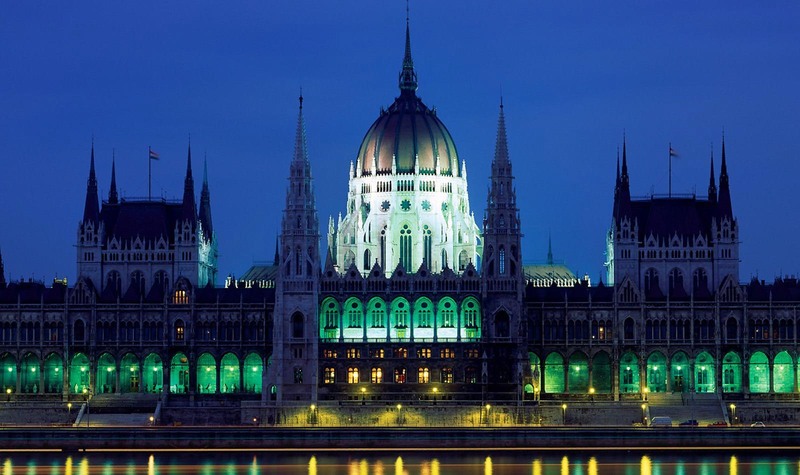 Advantages: after gaining strength by 1998, Hungary was opened to direct foreign investment. Effective tax system. Bureaucratization reduction. Since the late 90’s there’s stable growth based on exports. Developed industrial construction, especially in the new modernized firms. A fully convertible currency since mid-2001. Declining inflation. Weaknesses: lack of energy production. The gap in internal development, the eastern rural areas do not get enough funding. The big difference in the population incomes. Insufficient control of money laundering. 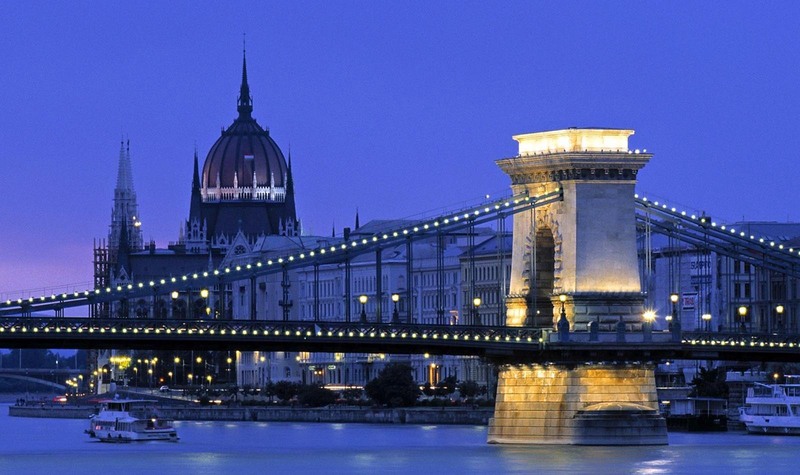 Hungary mainly exports machinery and other industrial products. The main foreign trade partner is Germany (more than a quarter of Hungary commodity circulation in 2006). 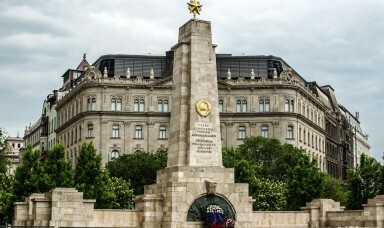 On September 19, 2006 there was public unrest in Budapest in connection with the publication of statements of the Prime Minister about the dire state of the economy. The largest bank in Hungary is OTP Bank. Farshang is Hungarian Maslenitsa (Pancake week), which came to Hungary from Germany. 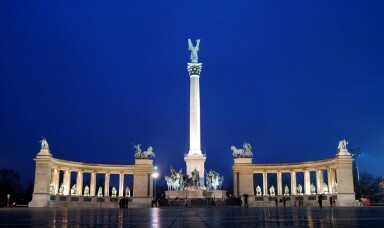 St. Stephen’s day is the main national holiday in Hungary, it is celebrated on the 20th of August. It is believed that on this day the first king of Hungary Stephen was crowned, who is credited for the introduction of Christianity in the country. It is celebrated since 1083, after the canonization of Stephen. 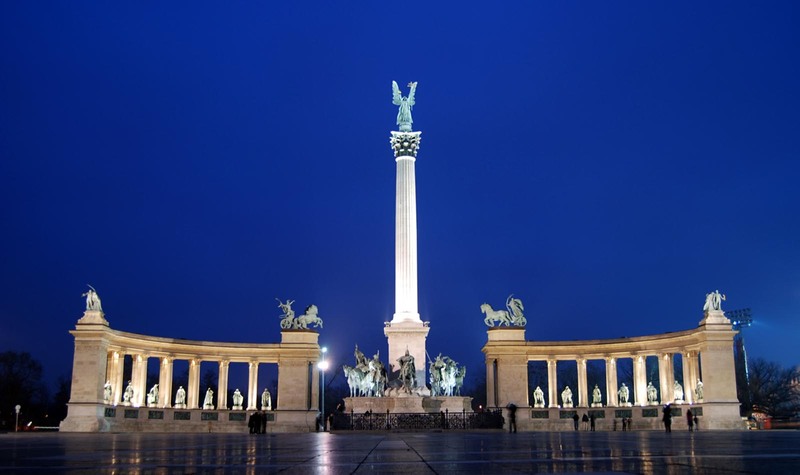 The day of the Hungarian revolution of 1848 is celebrated on 15th of March. On this day the “Hungarian Spring” began – the national liberation movement of the Hungarians for independence from the Habsburgs, which grew into a war against Austria. National holiday in commemoration of the Hungarian uprising is celebrated on the 23rd of October in memory of the events of 1956. At the same time is the Day of the Republic of Hungary declaration in 1989.